Why So Few 3D Monitors? Why No Passive 3D Options? Are 3D Monitors fit for Gaming? Are you looking for the best 3D Monitor for PC? Most, if not all, 3D PC Monitors are also categorized as professional gaming monitors. They have extremely fast response times, ultra fast refresh rates, low input lags, and high contrast ratio which can all be enjoyed in 3D as well as in 2D. 3D monitors give you the ability to enjoy your content in a truly immersive experience. But, 3D Monitors are not just limited to gaming or entertainment, they have been designed to cater also to those in the professional designing business, education, engineering, and CAD. Best 3D Monitor for PC that has hit the market recently have brought about tremendous changes in the technology. Some new 3D Monitors have been specifically designed for Gamers, while another employ the “Passive 3D” technology in monitors. They have a lot to offer as you will find in this article. You can get a 3D monitor in various sizes and shapes. We hope to give you at least enough information so that you can form a very educated decision when looking for a 3D monitor. Hope you enjoy your stay here and may you find what you are looking for. Here is a short selection of some of the best 3D Monitors for PC out there. There aren’t many, but the ones that are already there still exist as some of the greatest in the market. Remember to know the difference between active and passive 3D and also the difference between 3D and 3D ready monitors before proceeding. This is one of the best 3D monitors for PC to have hit the market recently. This is essentially a high-end TN panel based gaming monitor that is NVIDIA 3D Ready. So if you can get yourself a 3D kit, you can transform this monitor into a 3D gaming machine. It has all the necessary bells and whistles to keep the gamer in you entertained. This monitor has 1 ms response time, 144 Hz refresh rate and along with that has built-in technologies to enhance your gaming experience. Finally, a monitor by BenQ. BenQ specializes in manufacturing the best gaming monitors. This one happens to be 3D ready. Meaning you can get yourself the NVIDIA 3D Vision kit and enjoy it on this monitor. This monitor is designed for eSport. You will often see this screen being used in many eSport events. This monitor, like all of the monitors listed here, has 144 Hz refresh rate and 1 ms response time. What separates this screen from the rest is firstly its design. Secondly, it is loaded with features that cater specifically to gamers such as Color Vibrance settings, Black eQualizer, and Motion Blur Reduction technology. An S switch is also provided so that you may control the navigate quickly on the screen. Despite what it says on the product description, this is not a 3D monitor; this is a 3D ready monitor. Meaning yo will need to purchase the NVIDIA 3D kit to enjoy the experience. Despite that, this is one of the finest and most affordable gaming monitors in the market that has 144 Hz refresh rate. It not only looks good, but it also has all the features to keep the gamer in you satisfied such as 1 ms response time and NVIDIA Light Boost technology. This is a rather expensive monitor. 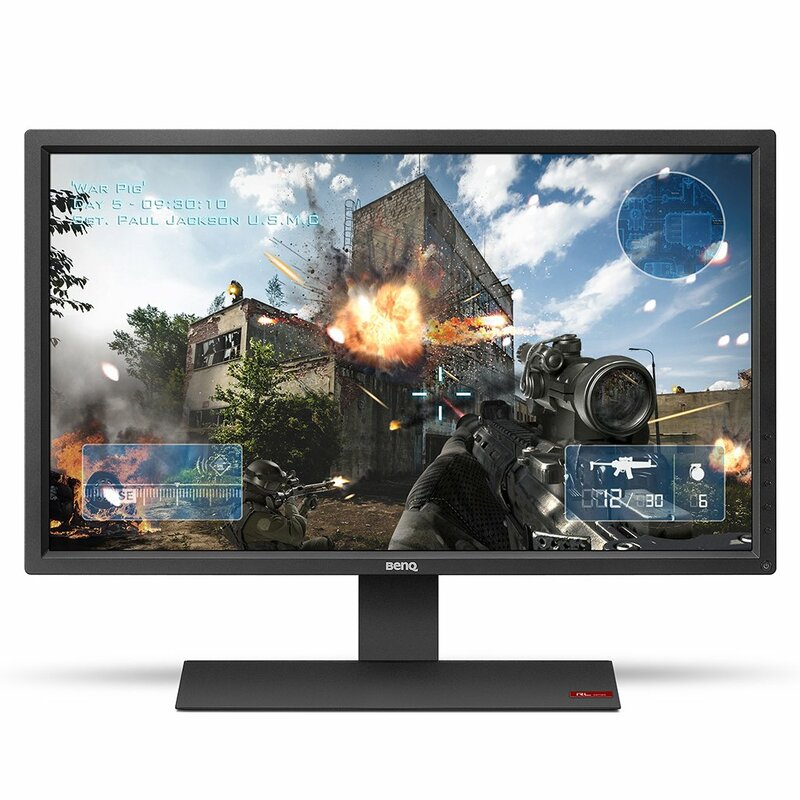 This is not just any gaming monitor; rather it is a full-fledged professional gaming grade monitor. It is loaded with all the features that a gamer would ever need. This is a 27 inch 3D ready gaming monitor that has a refresh rate of 144 Hz. It also comes equipped with NVIDIA G-Sync technology and 1 ms response time. This monitor is fully adjustable meaning it not only has to tilt, but also swivel, rotate and height adjustment options. On top of that, this monitor boasts the NVIDIA Ultra Low Motion Blur technology. So when you couple this with a 144 Hz refresh rate, you get videos that are super smooth. This monitor has VESA holes. If you have the money to build a multiple monitor display setup with this, you most certainly can. This monitor comes with 1 x Display Port and 4 x USB 3.0. It is a shame that it does not offer any HDMI port, but this monitor is for a system that would be boasting a DisplayPort. The all time favorite of most gamers is this 3D ready monitor. You will see Asus VG248QE in several lists all across the internet, and this goes to show how versatile this monitor is. 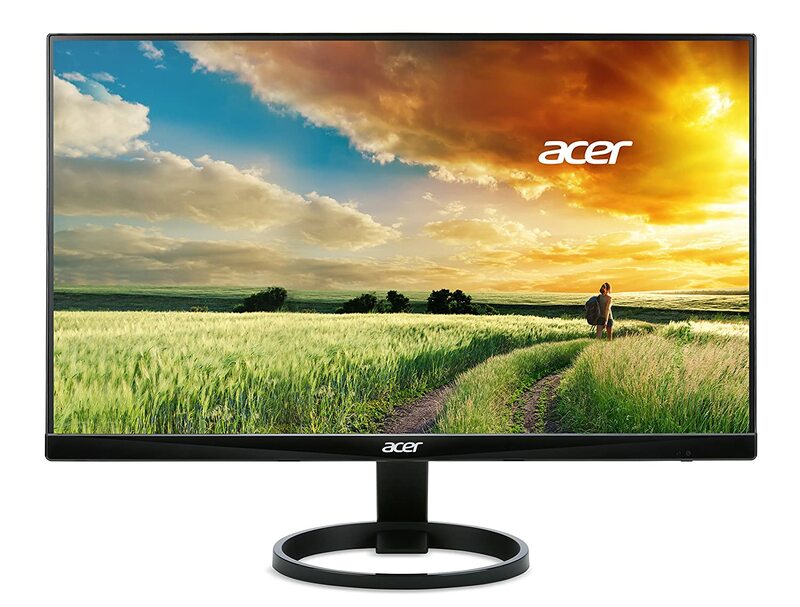 It is not as cheap as the Acer monitor listed above nor as expensive as the Philips monitor. 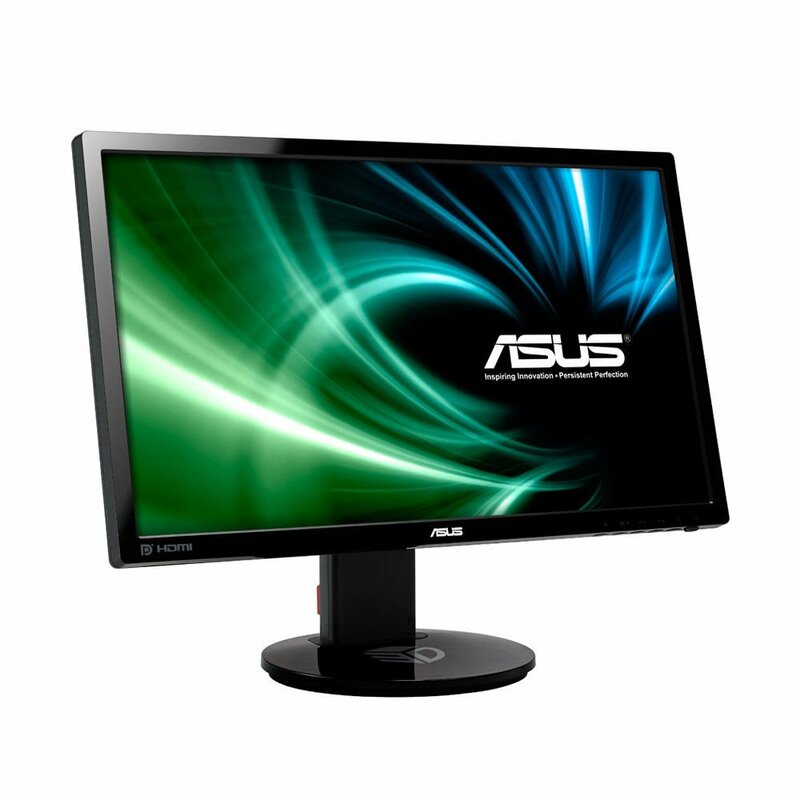 It is perfectly priced and has all the right features too; making it the best 3d monitor for PC. It has a rapid 144 Hz refresh rate, a fast 1 ms response time and the adjustability options that truly make this monitor the best in its category. Best 3D monitor for PC was trending in the year 2013. This was the time when 3D technology had reached its peak. Soon it became a much tighter niche. It did not see itself emerge in the mainstream monitor market. Only time will tell if the 3D technology will finally enter the mainstream market for PC monitors. Back in 2013, when the 3D trend was strong, there most definitely were strides made in making passive 3D monitor. LG was the first to make such screens. LG Electronics D2343P-BN were the first of their kind. However, they did not garner much support. Most of the monitor brands do not manufacturer actual 3D monitors anymore. They rather offer 3D Ready monitors so that buyers who need this feature can get themselves a kit and install it as an addon. They most certainly are. In fact, most of the 3D monitors are essentially gaming monitors themselves. Plus, people who will naturally be interested in 3D monitors are gamers. Of course, you can enjoy 3D movies as well, but one of the biggest reason why anyone would want to buy a 3D monitor is to play 3D games on them. However, 3D technology aside, the core features of these monitors are already fit for a gaming monitor. These monitors have amazing visuals, slow response time and, most importantly, a high refresh rate of 144Hz. For enthusiasts, this is one of the core features to have. Other than that, these monitors have technologies like the adaptive sync, AMD FreeSync, or NVDIGIA GSync for removing the unwanted stuttering and tearing of the screen. They are further coupled with Motion Blur Reduction technology to make the motion a lot smoother. In this article, we had a look at the best 3D monitor for PC. We also talked about the things that you should keep into consideration when choosing to go for 3D monitors. For example, you should know the different between 3D and 3D ready monitors and also the difference between Active and Passive 3D technologies. There are few great monitors that offer 3D compatibility, and we had them listed here. It is important to understand that 3D is just a terminology used to encompass all other related technologies that come under it. 3D is perhaps a name only for the viewing experience. The techniques used to offer this viewing experience differ in quality, execution, and cost. Now, monitors of this stereoscopic technology are labeled either as 3D or 3D Ready. “3D” labeled monitors allow the users to view in 3D right away without needing to purchasing another gear or kit to see it. “3D Ready” labeled PC Monitors DO NOT come with 3D viewing capability out of the box, and you have to purchase kits such as NVIDIA 3D Vision Wireless Glasses Kit to enable the 3D viewing experience. One thing common between the two types is that the refresh rate is a minimum of 120 Hz. Essentially, you can have 3D experience on any monitor with 120 Hz refresh rate. Conventional or Non 3D/3D-Ready monitors have a refresh rate of 60 Hz. Naturally, the “3D” labeled monitors are much more expensive since they already come with the 3D viewing kits built in. Many “3D” labeled monitors come with built-in NVIDIA 3D kit and are thus costly. “3D Ready” screens are less expensive as you have to purchase the 3D viewing kits separately. “Active 3D” works by syncing image on the screen to the left and right lenses of the glasses. These glasses are heavy and battery powered as they use “shutters” that open and close fast blocking the eyes in turns so that the right eye receives the relevant image. Although the shuttering should not be noticeable, some users have reported having an odd feeling of flickering that puts a strain on the eyes. For your “Active 3D” glasses to work you need to have an Infrared Emitter in direct line of sight. However, with “active 3D” technology you do get stunning picture quality and enjoyable 3D viewing experience. You do need to have 3D kits in order to enable 3D viewing on “Active 3D” monitors. The “Active 3D” PC Monitors listed here have either built in 3D kits, or you have to buy on separately like the NVIDIA 3D Kit. If you have ever been to a 3D cinema to watch a 3D movie, what you technically experience is the “Passive 3D”. “Passive 3D” uses polarized glasses that show one image to the left eye while another image to the right to create the immersive experience. The Passive 3D technology uses light and comfortable glasses and does not require any IR emitter, batteries or 3D kits to operate. You could enjoy 3D through any angles. They are much cheaper than their “Active 3D” counterparts and require no additional hardware with them. Perhaps the biggest drawback for the Passive 3D technology would be that each eye sees only half the picture meaning 540P. This way you don’t technically enjoy 1080p Full HD details and quality. 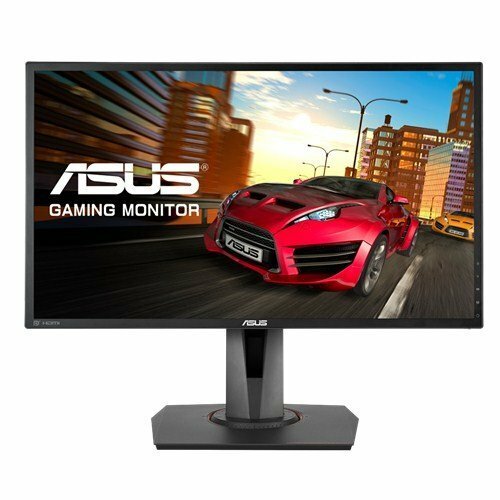 There is a gaming monitor for everyone, and this list will help you find the best gaming monitor. There a few great ones available.